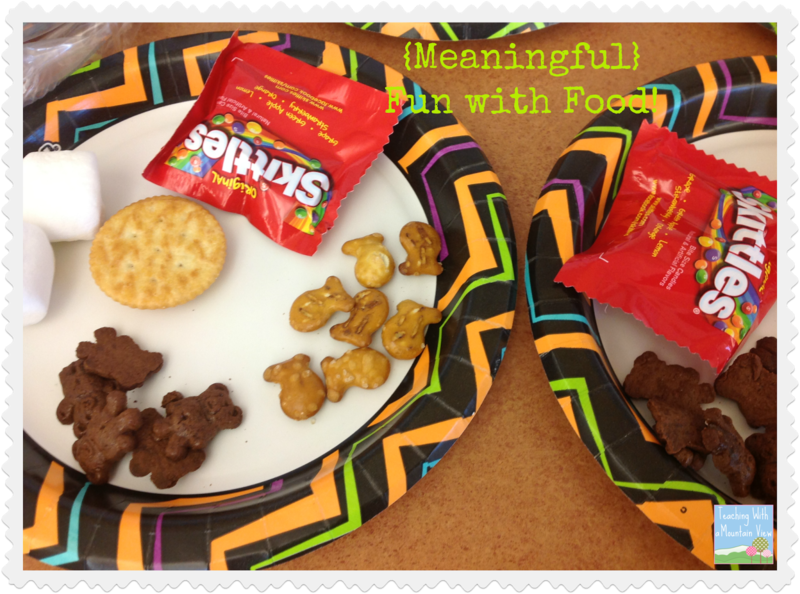 Teaching With a Mountain View: This and That! This post is going to be all over the place! There is a little bit of 6th grade math, a little bit of advanced 3rd grade math, and a limited time freebie for you! I'll start with the math. 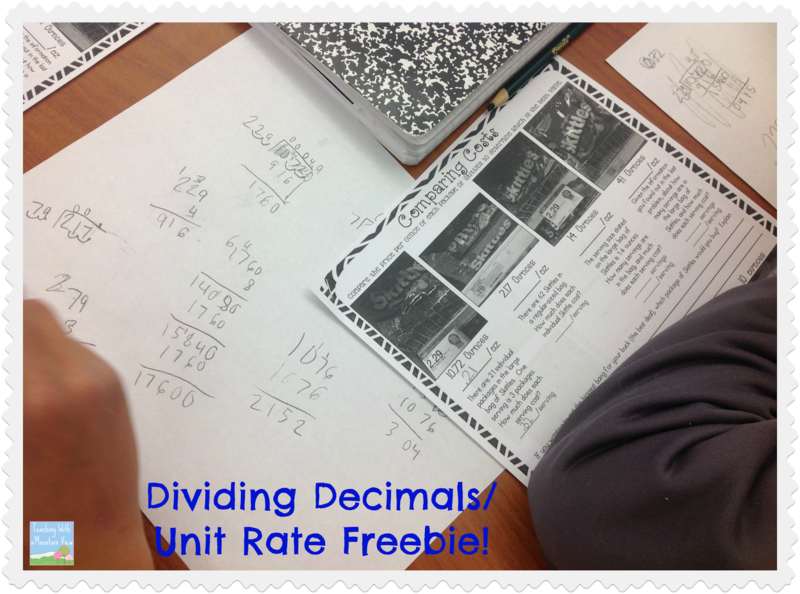 On Halloween, my students did an activity to solidify their dividing and multiplying decimals skills. I also wanted to do a little mini introduction of unit rate. Boy, was this a doozy for some of them! Some of them had a really tough time figuring out which numbers to divide and where. They did a much better job on "Nuts about Nutrition," so it would be perfect for 5th grade and up with some guidance. The first page is probably more appropriate for 6th grade and up. Once they figured out how to do it, they loved it! 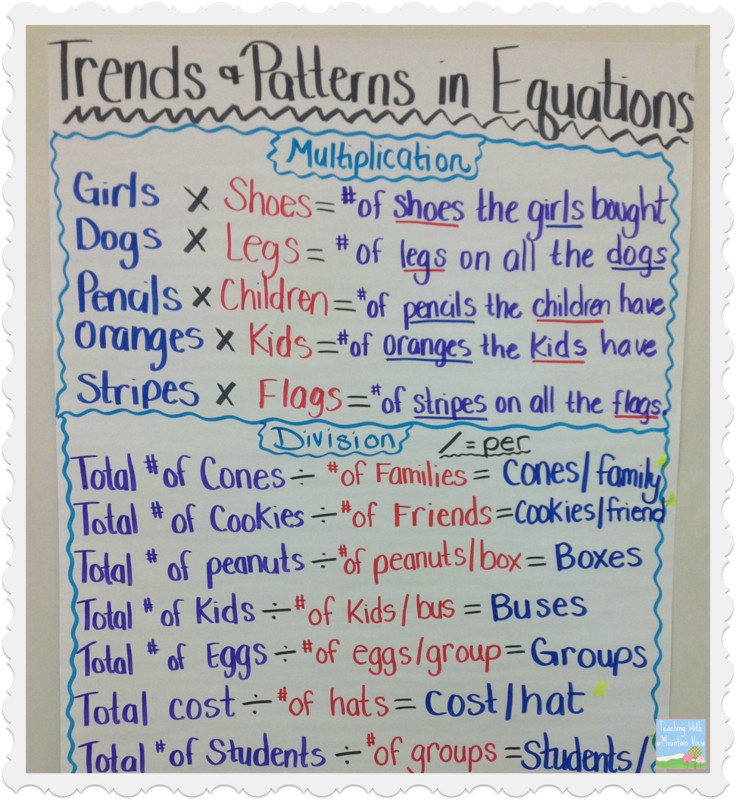 In advanced 3rd grade math, we have been working on multiplication and division. 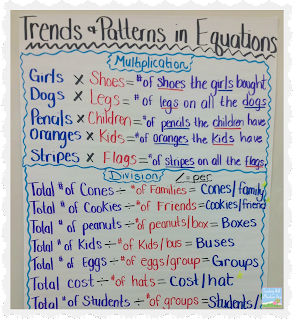 Some of my students were still having a hard time figuring out which order to divide, so we made this handy chart. We used these multiplication task cards, and instead of having them write out the equations and solve, we just focused on the units they were working with and the units that they would get when they found their answer. All of the kids agreed that it was helpful for them to look at these patterns! 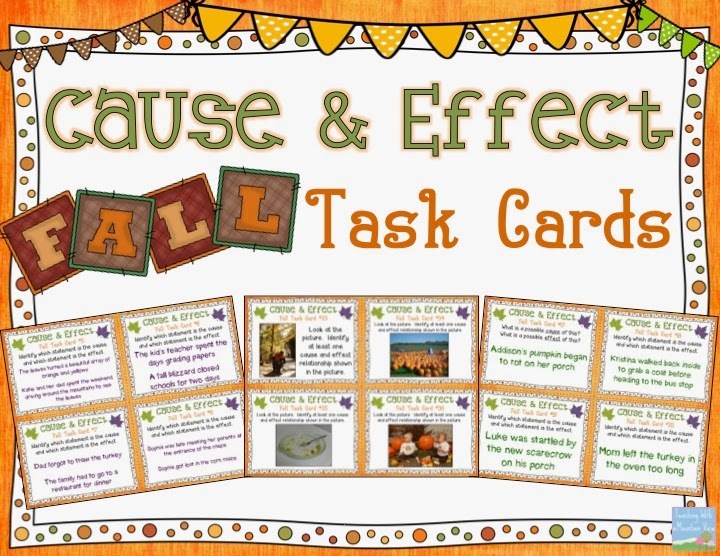 Finally, I whipped up some cause and effect task cards for fall to review with my students. On that same day, I hit 4,000 followers at my Teachers Pay Teachers store (oh my gosh! ), so I decided to make them free on my Facebook Fan Page. They've been free for about a week, and I'll leave them free a bit long. Go to my Facebook Fan Page NOW to grab your freebie! 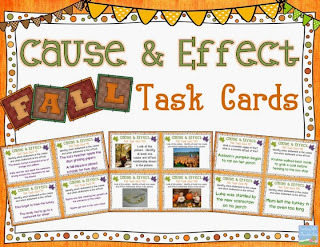 Click here to grab these cards FREE--for a limited time! 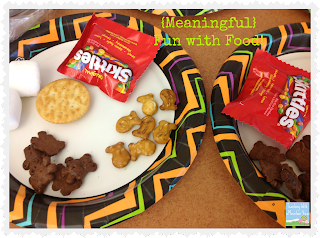 I love the Nuts About Nutrition and can't wait to try it with some of my higher kiddos next week. Thank you! Hi. 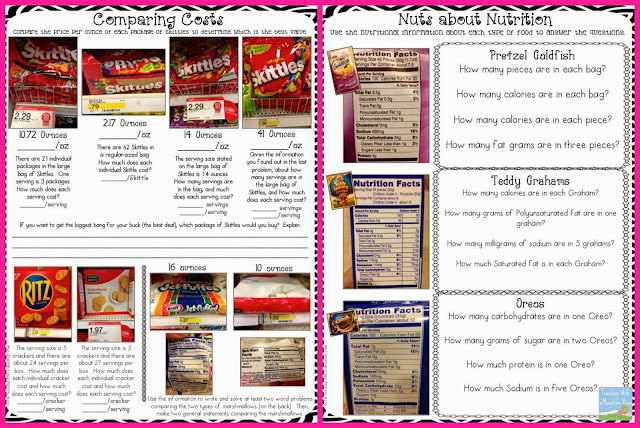 I love your Comparing Costs activity. Do you have the answer key?